Happy Monday! 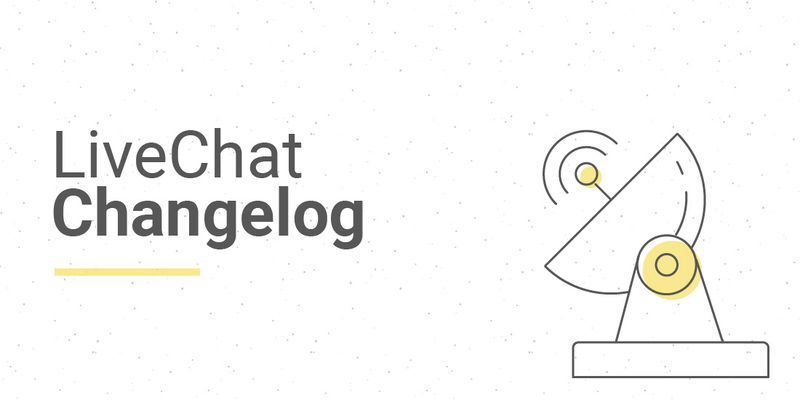 Today we start our new weekly series, LiveChat Changelog, which will list all important features and fixes made to the Live Chat product. This week’s highlight is LiveChat Marketplace - read on to learn more! Embed LiveChat Marketplace in the LiveChat dashboard (for owners and administrators). Add the option to create server-side applications in the Developer Console. Support for eye-catchers categories in the database and the API (by the way, have you seen our new Holiday eye-catchers already?). Support for remote logout in the old Windows and MacOS applications. Visitor SDK: Add getVisitorData method. Visitor SDK: Add the option to set customProperties in setVisitorData method.